Home for Sale in Murphy Creek! The Storck Team is honored to bring this beautiful home to the Aurora real estate market in Murphy Creek! 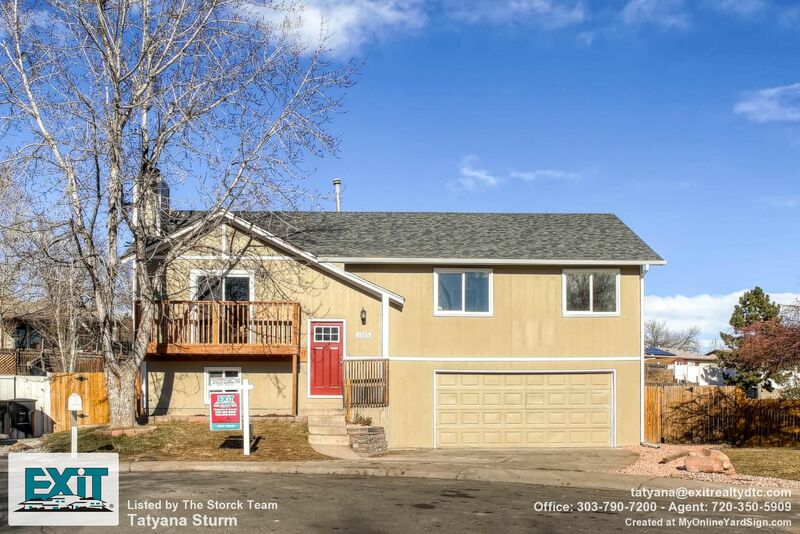 BEAUTIFUL 2 STORY HOME IN MURPHY CREEK, DARLING CURB APPEAL WITH FRONT PORCH, AS YOU ENTER THIS HOME YOU WILL FIND A SPACIOUS FAMILY ROOM WITH A GAS FIRE PLACE, AN OPEN DINING AND KITCHEN. THE KITCHEN BOASTS TONS OF COUNTER TOP SPACE, PANTRY, AND BREAKFAST BAR. ALL APPLIANCES ARE INCLUDED. LOW MAINTENANCE YARD AND BACK PATIO, LARGE MASTER SUITE WITH 5 PIECE BATH AND WALK IN CLOSET, 2 BEDROOMS AND 2 ADDITIONAL BATHS, LARGE LOFT AREA PERFECT FOR PLAY ROOM OR OFFICE WITH COVERED TREX DECK OFF FRONT AND MOUNTAIN VIEWS, LARGE BASEMENT WELCOMES YOUR FINISHING TOUCHES. 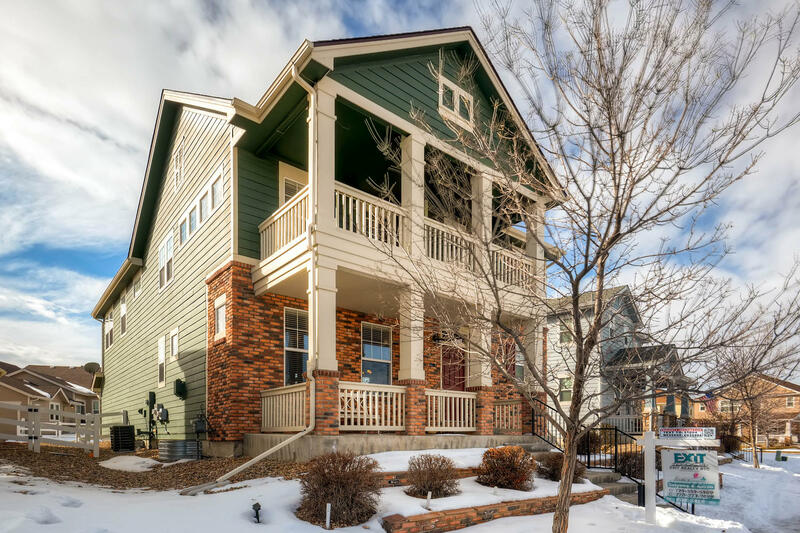 AMPLE STORAGE IN THIS HOME, SHORT COMMUTE TO DENVER INTERNATIONAL AIRPORT AND SOUTHLANDS SHOPPING, EASY ACCESS TO HWYS, MURPHY CREEK OFFERS, GOLF, TRAILS, PARKS AND CLUBHOUSE AMENITIES. QUICK POSSESSION AVAILABLE. HOA COVERS FRONT YARD LANDSCAPING AND WATER ALL SNOW REMOVAL INCLUDING SIDE WALKS AND STAIRS, DRIVEWAY, SOLAR PANEL LEASE TO TRANSFER TO NEW OWNER AND LOWER UTILITY BILLS. 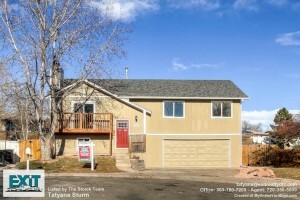 Newly Listed Home for Sale Thornton, CO!!! The Storck Team is honored to bring this completely remastered home to the Thornton market this weekend! May we present 1355 East 97th Place! Open House Saturday Jan. 16th 12-4! WELCOME HOME TO THIS FABULOUSLY REMASTERED 4 BEDROOM, 3 BATHROOM HOME IN MCCOY HILLS! AS SOON AS YOU ENTER YOU WILL IMMEDIATELY BE GREETED BY AN ABUNDANCE OF NATURAL LIGHTING AND THE SPLIT DESIGN OPEN FLOOR PLAN. ON THE UPPER LEVEL OF THE HOME YOU WILL FIND A COZY AND BRIGHT LIVING ROOM LEADING INTO THE GOURMET KITCHEN COMPLETE WITH GRAND CENTER ISLAND, GRANITE FINISHES, CUSTOM TILE BACK SPLASH, GENEROUSLY SIZED EAT IN DINING AREA, AND BRAND NEW STAINLESS STEEL APPLIANCES ARE INCLUDED! NEXT STEP INTO THE MASTER SUITE WITH NEWLY REMODELED 3/4 PRIVATE BATHROOM AND DIRECT ACCESS TO THE BACK DECK FOR YOUR MORNING COFFEE. TWO ADDITIONAL UPPER LEVEL BEDS AND REMODELED FULL BATH FOR CONVENIENT “MAIN FLOOR LIVING”. ON THE LOWER LEVEL OF THE HOME YOU WILL FIND A SPACIOUS REC ROOM, BED AND REMODELED 3/4 BATH. THIS HOME PROMISES TO BE MAINTENANCE FREE FOR YEARS TO COME WITH NEW CARPET, TILE FLOORING, INTERIOR PAINT, FURNACE, INSULATION, WINDOWS, AND ROOF!